Sons of God DVD is a powerful Christian documentary movie in the tradition of Father of Lights and the insightful film making of Darren Wilson and his team. For the millions of Christians working through more than 41,000 denominations there is only one father, and that makes every one a son of God or a daughter of God. And every son or daughter is praying and working for more of God's children worldwide to acknowledge His fatherhood. Yet, as this wide ranging DVD acknowledges, every revival up to now has ended. But doesn't need to. Sons of God explores the problem and proves that the issue is not that God assigns revival for a season. God wants people who will allow Jesus to work with them and through through them in His power with the result that all the things of which the prophets spoke are called into being in this and every generation. This intelligent and engaging documentary features contributions from Bill Johnson, Heidi Baker, Randy Clark, Kobus Van Rensburg and Rick Joyner. Sons of God is not just a documentary its a compassionate and unique view into a world where faith and love need not be unattainable concepts but could be an actual reality. Sons of God DVD reveals how never before in history has an entire generation opened its eyes and awakened to its destiny in God, giving their lives for Him and welcoming Zion in such a time as this. This movie shows what happens when this awakening starts to live beyond the mere fraction of God's power that most are prepared to settle for. With documented healings and transformations in the lives of individuals and communities everyone can have access to the powerful message of this deeply touching and heart awakening DVD movie. 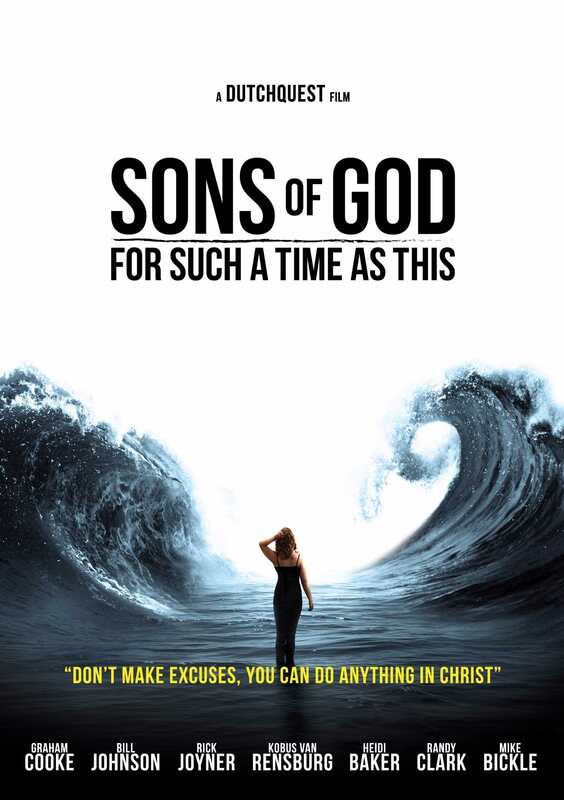 Sons Of God DVD by Dutchquest was published by Dutchquest in October 2014 and is our 14099th best seller. The ISBN for Sons Of God DVD is 8717953167927. 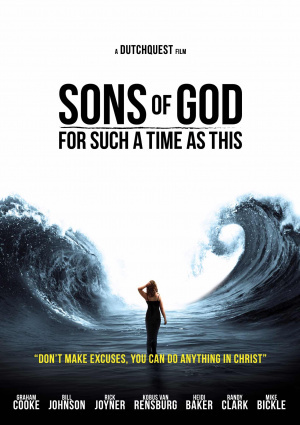 Be the first to review Sons Of God DVD! Got a question? No problem! Just click here to ask us about Sons Of God DVD. It's a unique insight into a world where faith and love are no longer unattainable concepts ? but actualised reality. Inexplicable miracles. Lives radically transformed. Sons and daughters living lives abandoned to their God. Dutch filmmaker Immanuel Hazeleger travelled the world to capture a story that inspires, brings hope and might even make God a bit more accessible. An incredible and inspiring documentary in collaboration with Graham Cooke, Bill Johnson, Rick Joyner, Kobus van Rensburg, Heidi Baker, Randy Clark and Mike Bickle.